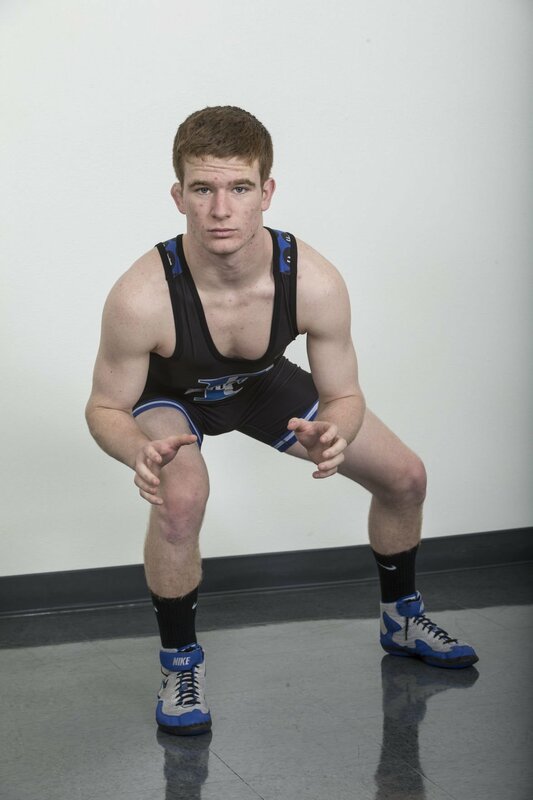 The All-Area Boys Wrestler of the Year is Ryan Morphis of Frontier. Ryan Morphis of Frontier wrestles Jaden Le of Rancho Bernardo in Saturday's 138-pound third place match at Rabobank Arena on Saturday. Ryan Morphis of Frontier won his third place match against Jaden Le of Rancho Bernardo to finish third in the 138-pound weight class at the CIF Wrestling Championships. Ryan Morphis of Frontier wrestles Jaden Le of Rancho Bernardo in Saturday's 138-pound third place match at Rabobank Arena on Saturday. Morphis won eight straight matches during the three-day event, placing third in his weight class. The Frontier senior started off his final state tournament with a loss to unseeded Isaiah Ramirez of Barstow in the opening pigtail round of the championship bracket. It would have been justified for the senior to lose concentration and fall out of the consolation bracket early. In the 138-pound division, he reeled off eight consecutive win-or-go-home matches, including a 9-4 decision over Jaden Le of San Diego-Rancho Bernardo for third place in the February tournament at Rabobank Arena. Dating back to 2011, Morphis is the first wrestler to lose in the opening pigtail round and survive as the consolation bracket champion. For his efforts, Morphis is the 2018-19 BVarsity All-Area Boys Wrestler of the Year. Morphis won by fall twice, including in the consolation semifinals over Santa Ana-Calvary Chapel’s Luciano Arroyo to advance to the third place match. Like Le in the third-place match, the win over Arroyo was impressive because Morphis lost to both earlier in the season in tournament action. What was historic about Morphis’ run through the consolation bracket — something only Clovis’ Tyler Collier came close to doing in 2016 when he lost in the first round (not the pigtail round) and finished third at 220 — is that Morphis' performance came during a three-day state tournament format as opposed to two. “Ryan genuinely had a good time putting on a show for his Titan family and really seemed to zone in on showcasing his skills instead of worrying about the outcome,” Franciotti said. After the final buzzer sounded on his final high school match, Morphis — who will wrestle at Division II Colorado School of Mines in college — got a high-five and hugs from two special people in his life. Kirk Moore, the former head coach at Frontier who's now an assistant to Franciotti, was on the bench and congratulated his nephew. Morphis' grandmother, Rhonda, was also on the mat to share a hug and kiss. Morphis, who went 44-12 this season and finished third at the Central Section Division I and Masters championships, knew during the state tournament that one more mistake in the consolation rounds and he would be done. He said it took some time after the state tournament to realize how special the run really was.